Coinciding with the festival season, the Weavers’ Service Centre, Ministry of Textiles, on Tuesday unfolded the National Handloom Expo - 2012 at the Exhibition Ground. 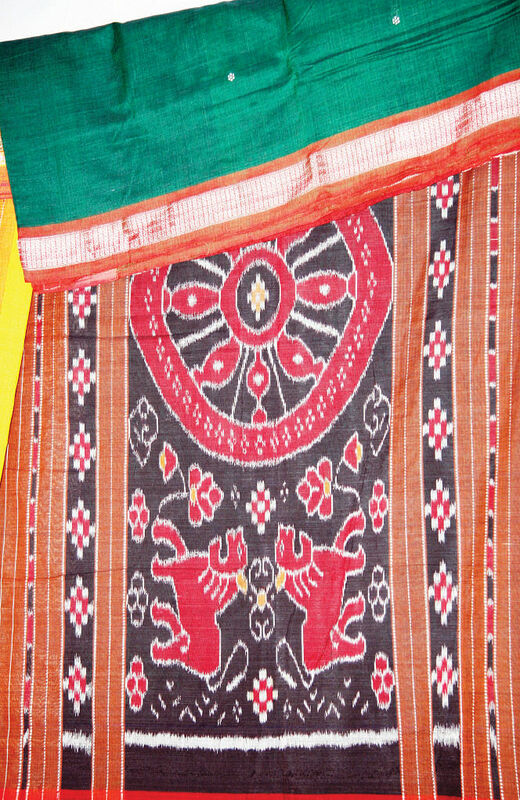 Weavers from across the country have gathered to showcase their skill of weaving magic on multi-hued fabrics that kept many a visitor hooked to the spot on the inaugural day. The fortnight-long expo has on offer popular handloom products like Odisha handlooms, a range of sarees and dress materials like Tassar, Kantha and Madhubani prints from Bihar, Gadhwal, Pochampally, Dharmavaram from AP, tribal work and Kosa silk from Chhattisgarh, printed silk sarees from Delhi, silks from Jharkhand, Chanderi and Maheshwari sarees from MP, Paithani and Ponna sarees from Maharashtra, Kanjivaram from Tamil Nadu, Baluchari and Kantha Tanga from West Bengal and Jamdani and Jamawar from UP. A total of 50 stalls also included primary handloom cooperative societies, state handloom corporations, apex societies and NGOs working in handloom sector. While stalls from Rajasthan featured hand block painted kurtas and dress materials and Kota cotton saris, the stalls from Haryana have brought in cotton bags and yarn curtains. Assistant Director of Development Commissioner for Handlooms, SK Patra said people must extend their patronage to the weavers by buying their products. After agriculture, handloom sector was the biggest source of livelihood for rural population. “The exhibition aims at providing a marketing facility for the weavers and clipping the wings of the middlemen,” he said.